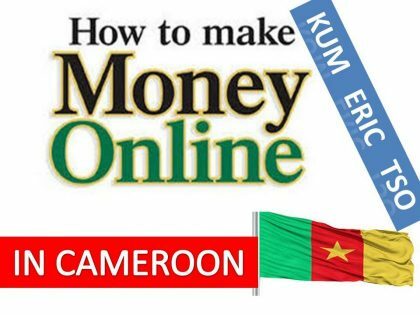 There are actually about 102 ways to make money online in Cameroon as I earlier stated in our Make money online in Cameroon series on Money Master Tutorials but trying to learn or use all these methods at once can be a daunting task. 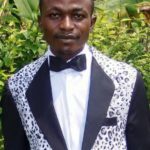 Hence, I further came up with a detailed tutorial on Top 5 Ways to make money online in Cameroon. Click here to read the full tutorial. I believe you can be rich through the internet, very rich though. According to my January 2018 financial report, I actually make 500K+ FCFA per month from my auto pilot online business that I started setting up in 2015. I once heard someone say: ‘Foolish people waste money; average people spend money while wise people invest money’. My question to you today is: In which category are you? For any young Cameroonian to be poor in this internet age is a monumental error. Choose one or two methods that suit your lifestyle. 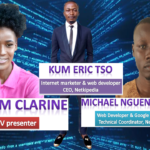 By method, I mean you should chose from the Top 5 Ways to make money online in Cameroon that I mentioned earlier such as blogging, affiliate marketing, etc. When I said one that suits your lifestyle, I mean something you can easily do taking into consideration things like financial investment needed, time, your passion for it, etc. Educate yourself on the method you have chosen. Go online and study how that method operates and how to be successful in it. Join forums; find out why some fail and why others succeed; what are the difficulties involved? 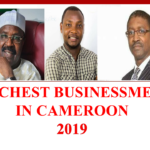 Also try to draw close to top earners in that method in Cameroon to learn from their experience. Look for a mentor. My online business took a totally miraculous shift when I started being mentored by one of the greatest marketers in the world: Neil Patel. Today, I’m privileged to mentor so many young Cameroonian millionaires. a. Gain experience not shared in books. Experience is a very expensive asset — yet it’s crucial to business success. There’s only so much about a person’s experience you can gain from books. It’s an unstated truth that most authors do not feel comfortable revealing everything about themselves in books. Some personal experiences may be too intimate to be shared, yet how they dealt with it can help an inexperienced entrepreneur’s career. Mentorship is one guaranteed way to gain experience from others. b. You’re more likely to succeed with a mentor. Research and surveys prove that having a mentor is important to success. In a 2013 executive coaching survey, 80 percent of CEOs said they received some form of mentorship. In another research by Sage, 93 percent of startups admit that mentorship is instrumental to success. Your chances of success in life and in business can be amplified by having the right mentor. The valuable connections, timely advice, occasional checks — together with the spiritual and moral guidance you will gain from having a mentor — will literarily leapfrog you to success. Aside the fact that investors trust startups who are recommended by their friends, a successful mentor has an unlimited network of people who can benefit your career. Since they are already invested in your success, it only makes sense for them to let you tap into their network of people when the need arises. This is an opportunity you cannot tap into if you do not have a mentor. d. A mentor gives you reassurance. It has been proven by research that a quality mentorship has a powerful positive effect on young entrepreneurs. Having someone who practically guides you and shares your worries with you — often placating your fears with their years of experience — keeps you reassured that you’ll be successful. Self-confidence is very important to success as entrepreneurs. A 2014 Telegraph report revealed that having a high self-confidence contributes significantly to career success — more so than talent and competence. Mentors have the capacity to help young founders tap into their self-confidence and see every challenge as an opportunity. e. A mentor will help you stay in business longer. When you imagine the number of businesses that fail, you’d wish a lot of business owners had mentors. According to SBA, 30 percent of new businesses may not survive past the first 24 months, and 50 percent of those may not make it past five years. However, 70 percent of mentored businesses survive longer than 5 years. f. A mentor will help you develop stronger EQ. Does maturity bring about a higher EQ in entrepreneurs? Emotional intelligence is crucial to entrepreneurial success. When a young entrepreneur has a more mature and successful mentor who advises them, they are likely to have greater control over their emotions. We all know that a quick way to make a business fail is to mix it with emotions or make crucial decisions based on emotional feelings. Situations like this can be curbed as mentors will help show you how to react in given instances. A story on Business Insider reveals how Schmidt worked with then inexperienced Page to manage the affairs of running a fledgling startup. An inexperienced CEO often makes decisions based on emotions, but one with a mentor like Schmidt is able to overcome critical hurdles by making smart decisive judgments. 5. Get to work. Hard work always pays. 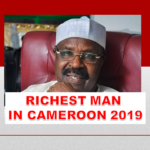 Just make sure you follow the 7 secrets of online millionaires in Cameroon. Related: Convert any website layout or template into a Drupal theme - easily!